In this event, video games and playful technologies that are presented at the CHI PLAY 2018 conference (an otherwise fee-based event) will be publicly exhibited. Visitors will have the chance to try out cutting-edge interactive technology and video game demonstrations, connect with the exhibitors and engage in conversations regarding video games and playful interactive technologies. Entry is free. Light snacks will be served. We are grateful to City of Melbourne, who sponsors the exhibition, as well as the Australian Centre for the Moving Image (ACMI) and Melbourne International Games Week for support. We are proud to present the artifacts of the following authors, who explore new types of gameplay and interaction with players in their works, as part of Melbourne Playground: Public Games Exhibition at CHI PLAY 2018. The official event program can be seen here. Melbourne has an outstanding track record for hosting some of the world’s largest and most prestigious international conferences. Our city is constantly evolving and thrives on knowledge and innovation, making us an ideal destination for business event organisers and delegates. 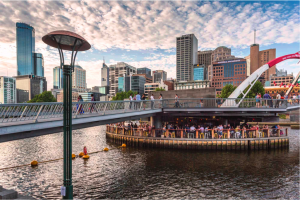 With a thriving nightlife, eclectic culture, iconic laneways and an easy-to-navigate CBD, Melbourne offers a diverse patchwork of experiences for delegates; we are a city you get to know by wandering around and exploring. City of Melbourne has long been a supporter of business event organisers and delegates through our Business Event Sponsorship Program. We invite your delegates to find out why Melbourne has been named the World’s Most Liveable City for a record seven consecutive years. You don’t need to look far to discover a new experience in Melbourne. With more than 2300 cafes and restaurants, Melbourne is a foodie’s paradise. Beyond your palate, there are ample opportunities to shop local and international brands, explore impressive galleries, see blockbuster shows, cheer at sporting events and explore the world-renown street art scene in Melbourne’s laneways and beyond. City of Melbourne’s What’s On website assists visitors and locals alike on what is happening in Melbourne, from where to eat, shop, discover hidden bars and laneways, to which events are on any given day in the city. Want to explore the city but only have limited time to do it? City of Melbourne’s What’s On has put together some of the most ‘Melbourne’ experiences you can pack into one day. You’re welcome! There’s so much to see and do in Melbourne that a lifetime isn’t enough to discover it all. Take a guided tour to fast-track your exploration. Take two, or more, because these walks are among the best things in life – free. 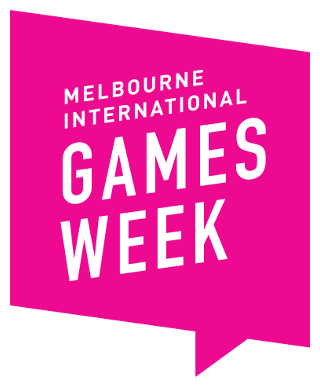 Supporters: Australian Centre for the Moving Image (ACMI) and Melbourne International Games Week.